As an Animal Crossing purist, I did not expect to enjoy Amiibo Festival nearly as much as I did. I quickly discovered that the little party game was a wonderful way to pass the time. With multiple games to play, from a quiz that tests my awesome knowledge of Animal Crossing, to the board game mode that pits players against each other, racing around a board to collect various things before the end of the month. Like any good party game, it only gets better the more people who play! One of the things I thought was particularly cool was how much you learn about the relationships of the store clerks in the franchise. We don't have a lot of Amiibos but we have discovered that certain Amiibos have perks that make them at least somewhat unique. 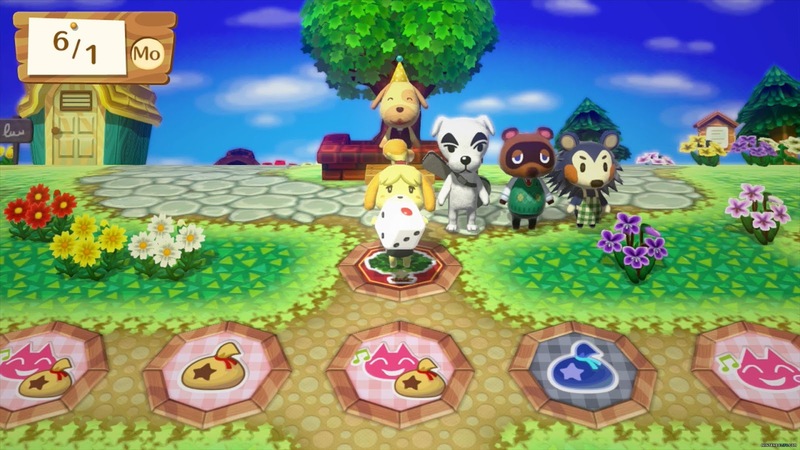 For example, if Digby sells real estate, Tom Nook gets either happiness points or 10k bells just like in the game. The goal of the board game is to have the most Happiness points by the end, and when it comes to money, each 1k of bells = 1 Happiness. You start by selecting the month you'll play through. 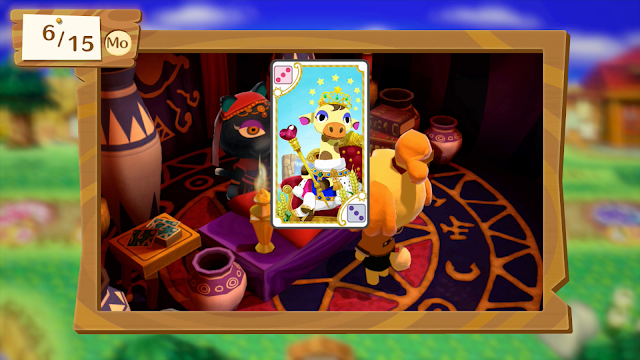 The game follows the current calendar year and remains true to events that occur in the Animal Crossing universe. So in the summer you'll have fishing tournies and in February you get to collect feathers for FESTIVALE! Joan even comes by on Sundays to sell her turnips for the stalk market. Each player takes their turn by rolling the die to move along the board. There are spaces that give or take bells or happiness, each one played out with an amusing little scene. At the beginning of each week, the prices on the stalk market are announced, and each space on the board has a different sell price next to it. Getting luck with the stalk market can really turn a game around for players low on happiness and/or bells. While easy ad intuitive to play, there is a surprising amount of depth to the game. 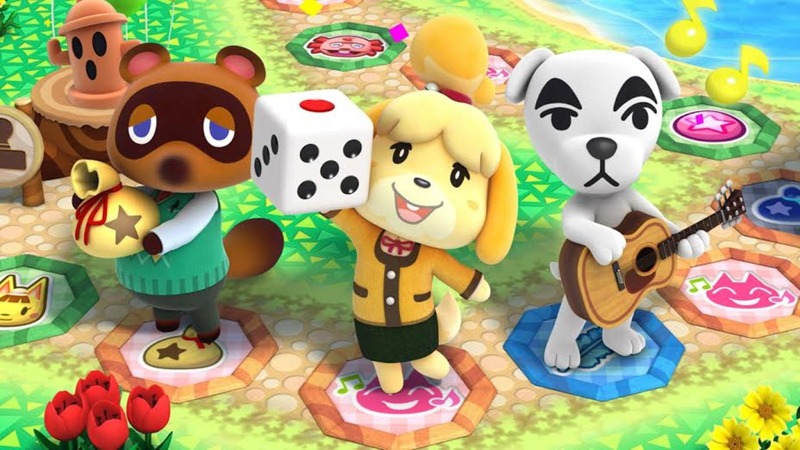 Players level up their amiibos through play, giving them access to more games. There are different moves that players can make that do shake up the game considerably. By using abilities acquired during play, players can change the board for a turn or two to only have bad events, forcing other players to lose happiness or bells Characters do also come to town for various events or random visits that can alter the gameplay. This is just a good, simple party board game, but we here at Somnambulant Gamer had an absolute blast with it!